Roosevelt elk introduced at Pitt River have multiplied from a herd of 23 animals to 40 in just two years. 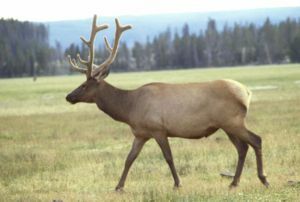 The second elk herd has grown from 20 to 27 animals in a single season. Pleased with the success, BC conservation officials want to introduce them elsewhere. Subsistence hunting led to the disappearance of elk from the Lower Mainland in 1900.